After the break, it will be more of the same again with Sweden dominating the game and Viktor Claesson will add another goal to make it 2-0 for Sweden. However, Turkey will come back into the game gradually and will manage to score a goal of their own thanks to HakanCalhanoglu on a great curling shot. Sweden thought that they were heading towards a win before Emre Akbaba managed to score two goals in quick succession to help his team win the match. This will be a disappointing result for Sweden as they were the better side throughout the game and was hoping that they could get their first points in the Nations League. 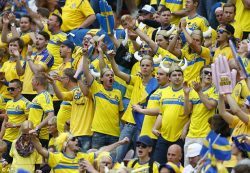 This was the first game that Sweden has been playing since their defeat at the last World Cup against England and was hoping that they could give their fans something to cheer about. Now they will have to focus on the next game against Russia which will take place in October.